Buffalo Wild Wings is feeling a little risky and generous this year, as they have offered free wings to anyone in the U.S. should the Super Bowl go into overtime. Buffalo Wild Wings has gone out on a limb and offered free wings to ANYONE in the U.S. if the Super Bowl goes into overtime on Sunday, February 3. 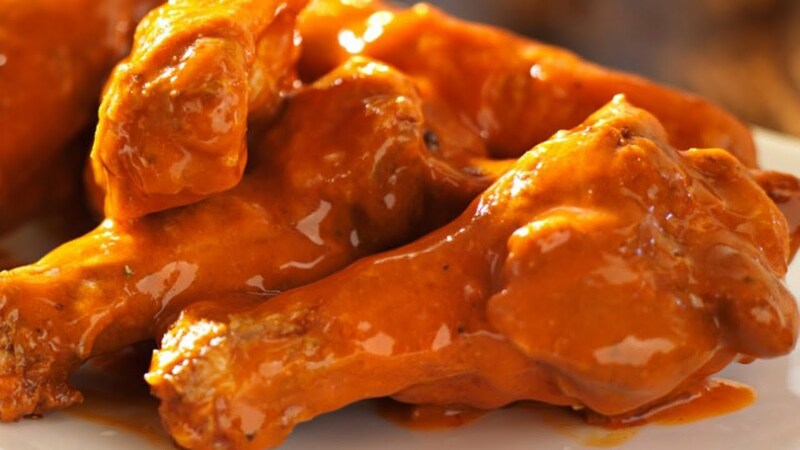 Yes, you read that correctly -- free wings. The details, which can be found here, indicate that anyone in the U.S. will be able to order a free snack-sized order of wings on Monday, February 18, any time from 4 p.m to 7 p.m local time if the Rams and Patriots end up in OT. People must dine in to cash in on this offer. "If the professional football game on February 3 is extended into an overtime period, Buffalo Wild Wings will make available one free order of snack-sized chicken wings (either boneless or traditional) to all patrons who visit any of our U.S. locations on February 18, 2019, between the hours of 4 p.m. – 7 p.m. local (restaurant) time. No purchase is necessary to redeem the free wings. This promotion is available for dine-in orders only. Limit of one free order per customer. Only available at indicated times and date. While supplies last and at participating restaurants." A snack-sized order is the equivalent of five wings. Not too bad, right? This does make for a fun, interesting offer, due to the fact that the Patriots/Chiefs' and the Rams/Saints' respective games both went into overtime in the playoffs. Is it likely to happen again in the Super Bowl, though? Vegas hasn't counted it out. But we will have to wait and see. Here's to hoping for some free wings from B-dubs on February 18! Do you think the game will go into overtime? I'm genuinely curious. Let us know in the comments! I'm giving this one to the Patriots, but who knows. Maybe Todd Gurley does his thing, and the story changes. We've put together the ultimate Super Bowl drinking game. Check it out here!